If you're looking for the single best way to work out upper body areas such as the chest, shoulder and triceps you've found it in this versatile dipping station from Soozier. Dips are your number one choice for building muscle mass and strength whether they are just a part of your training routine or your main exercise of choice. 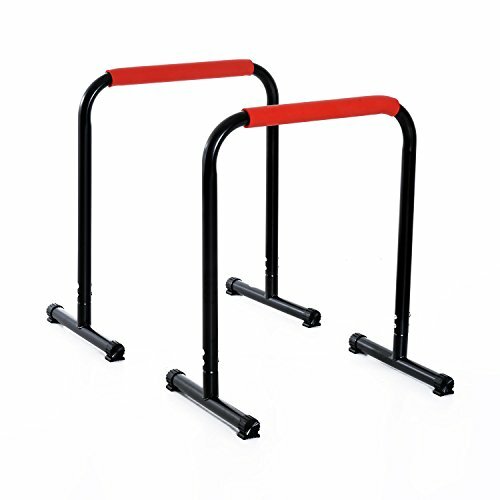 Lightweight yet durable, affordable yet pro quality, the Soozier dip stand allows you to do what was previously only possible at the gym right in the comfort of your home.